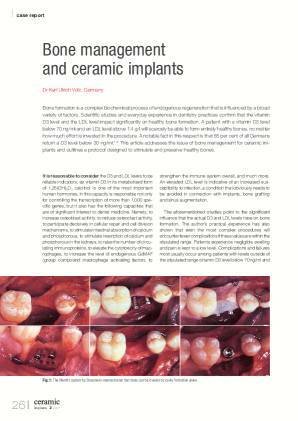 Bone formation is a complex biochemical process of endogenous regeneration that is influenced by a broad variety of factors. 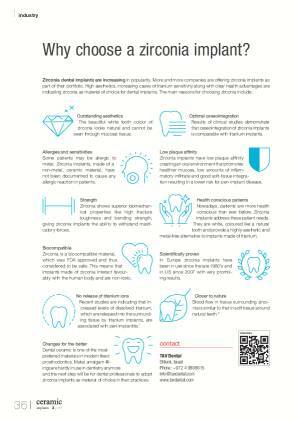 Scientific studies and everyday experience in dentistry practices confirm that the vitamin D3 level and the LDL level impact significantly on healthy bone formation. 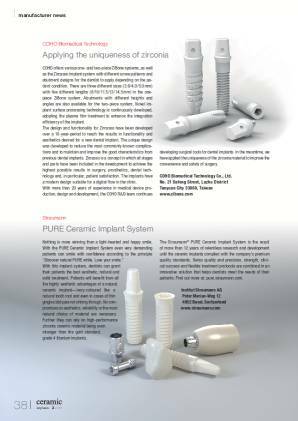 A patient with a vitamin D3 level below 70 ng/ml and an LDL level above 1.4 g/l will scarcely be able to form entirely healthy bones, no matter how much effort is invested in the procedure. 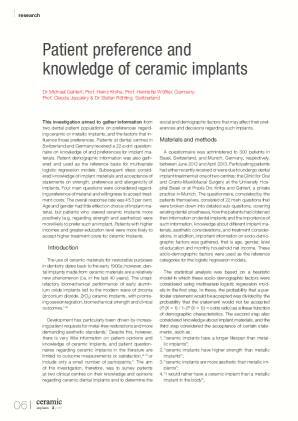 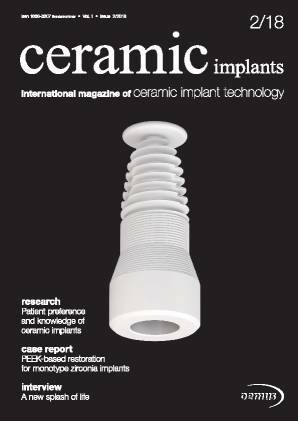 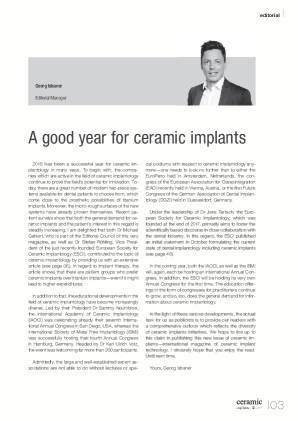 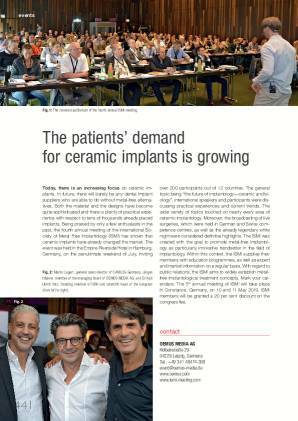 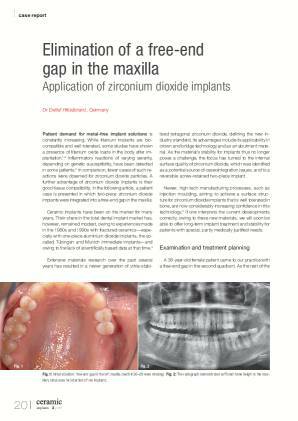 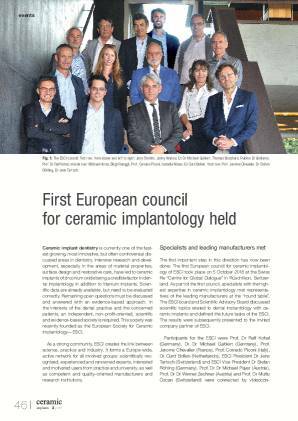 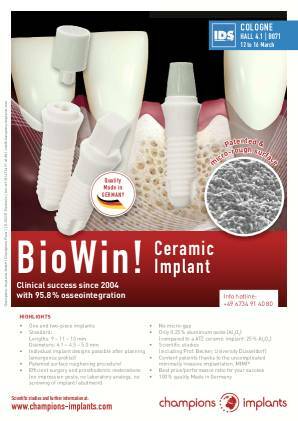 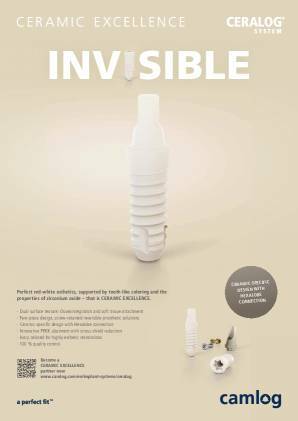 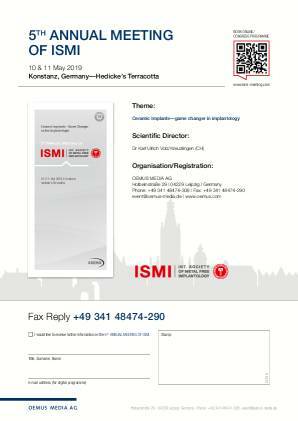 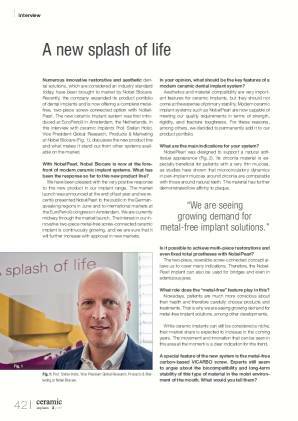 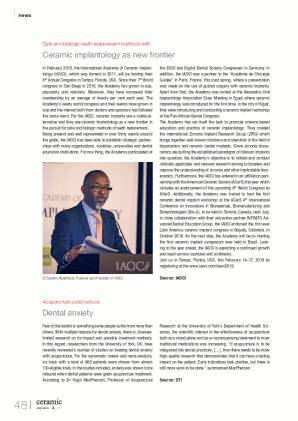 A notable fact in this respect is that 85 per cent of all Germans return a D3 level below 30 ng/ml.1–4 This article addresses the issue of bone management for ceramic implants and outlines a protocol designed to stimulate and preserve healthy bones. 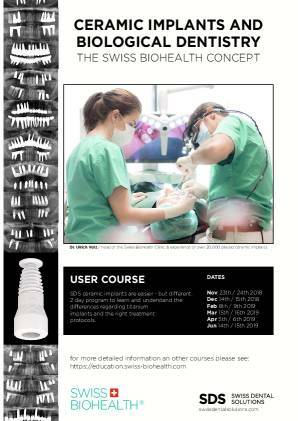 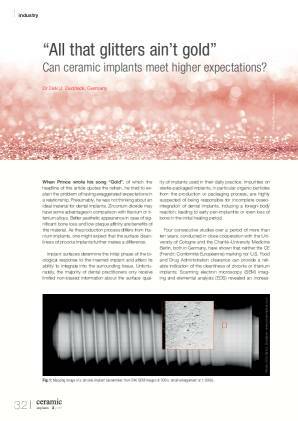 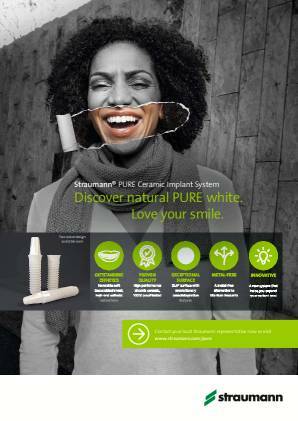 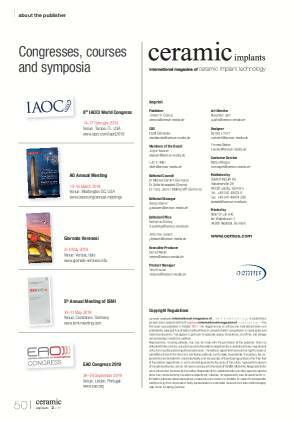 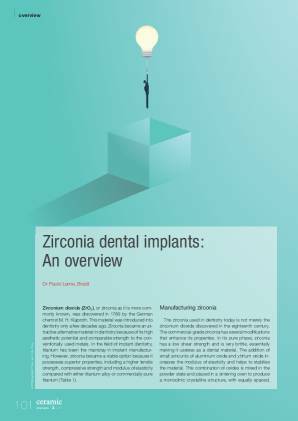 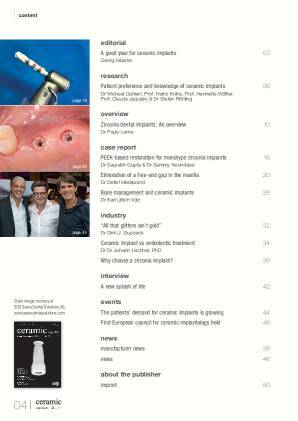 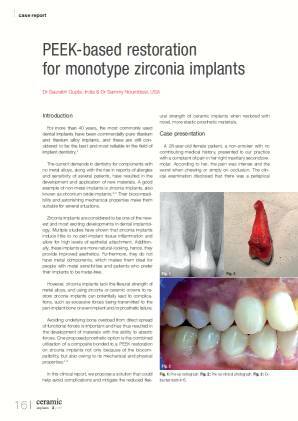 Why choose a zirconia implant? 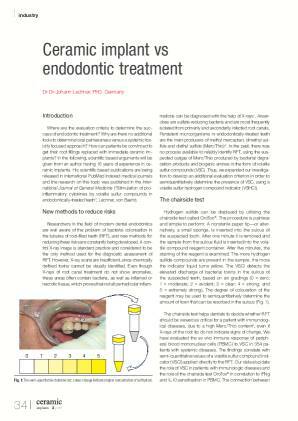 Weitere Artikel undInformationen zum Autor!